September is here already and reminds us that summer is slowly coming to an end. Our mood, however, has something of salty and carelessness. So, we prepared a one-day cruise on the islands of Argosaronic, Hydra, Poros, Aegina. We chose Signature Travel to make sure that the one-day getaway would be a pleasant experience for Hydra, Poros, Aegina. A few words before we begin our cruise on the islands of Argosaronic. The ticket for the one-day cruise is at 55 euros per person and includes, besides the transport, an entertainment program in the boat and buffet food. Departure from Flisvos Marina around 8 in the morning, where you are welcomed from the crew members. Hydra is just two hours away from Piraeus, yet it keeps its magnificent features unchanged. In fact it is a small touch on the map, a rocky island that has become a pole of attraction for artists and other famous celebrities of Greeks and foreigners. 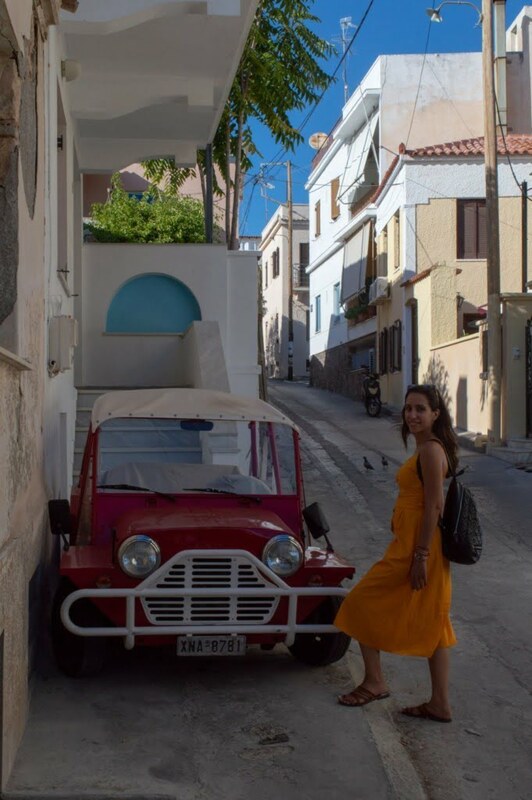 There are no cars in Hydra, and donations are made with donkeys and carts. The harbor floats sailboats and cruise ships that give the island a cosmopolitan air. The narrow cobbled streets invite you to explore and as the road progresses, the road turns uphill. Somewhere up there, though breathtaking, the view will compensate you with the above. A postcard unfolds in front of you and you only have to capture the images in your mind. Oh, the islands of Argosaronic. Something less than two hours we stayed on the island and so we visited those places that attracted our interest. The Pharmacy Museum of course could not be missed by our choices. The Pharmacy Museum (Pharmacy of Rafalia) has been in its form since 1890 and is one of the oldest pharmacies in Greece.It essentially acts as an attraction in Hydra and gathers many visitors of the island as it is a cultural heritage monument. Unfortunately, the photographs inside it are forbidden, so our material is not rich. 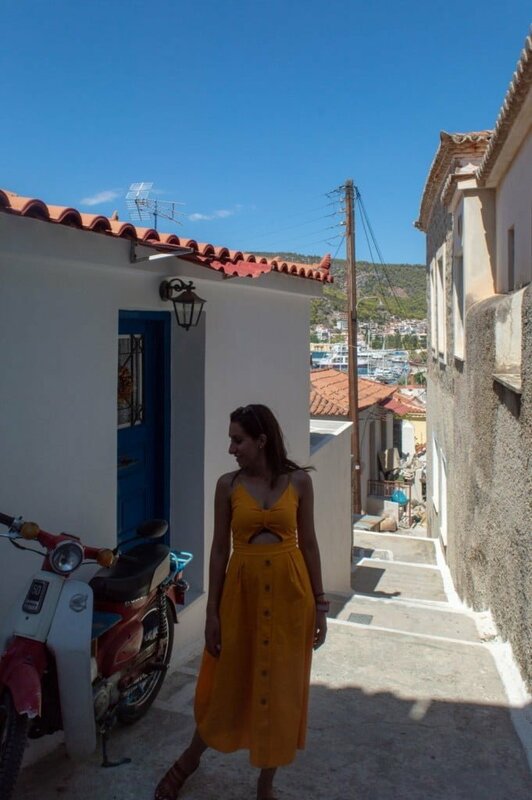 The second stop is the House of Lazarus Kountourioti, the yellow house with a wonderful view. Descending to the harbor and heading for the ship we enjoyed a delicious ice cream from The Cool Mule. There you will find homemade flavors and handmade ice creams made of extraordinary materials. Try the red velvet and you will remember us. It is worthwhile to miss in his narrow streets and discover his well-hidden treasures. White-covered courtyards decorated with shells welcome you while the church of Agios Georgios dominates surrounded by love and care by the permanent residents of the island. We followed the road to the Historic Clock. We only had forty minutes to get a taste of the island of Poros. Poros is flooded with pine trees, while its lemon grove is also famous. As for the local products you can supply, we recommend oil and spirits. The only sure thing is that we will return to the island to enjoy the view from the church of Prodromos. Aegina is the ideal destination for a weekend or more days as it is a breath away from Athens and quite affordable. Aegina is famous for its production of pistachios in many varieties and variations. If you want something to visit, then the Monastery of Saint Nektarios and the Archaeological Temple of Aphaia. We were impressed from the port of Aegina and its alleys. We walked in the narrow alleys and bought Mourtzi’s salt pistachios with salt and paste (served since 2001). We enjoyed our beer at Oinoi coffee and viewed the chapel of Agios Nikolaos in the harbor. After a day full of images, emotions, fatigue and happy smiles, we farewelled these three islands of Argosaronic that have loaded us with experiences. 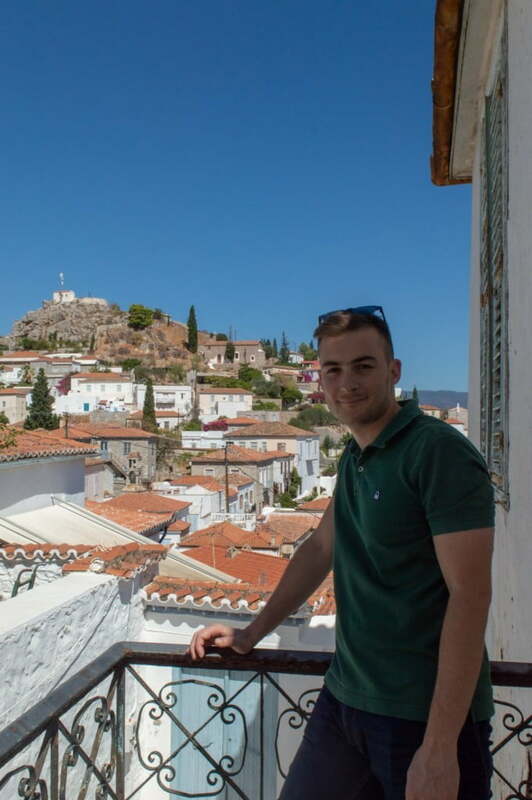 What do you say about Hydra, Poros, Aegina? For more photos and videos follow us on Facebook, Instagram, Twitter, Pinterest. Find an alternative destination for a one – day getaway if you visit northern Greece here. 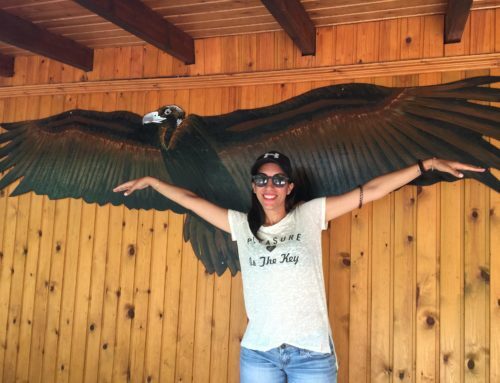 Road trip to breathtaking Trikala Korinthias! 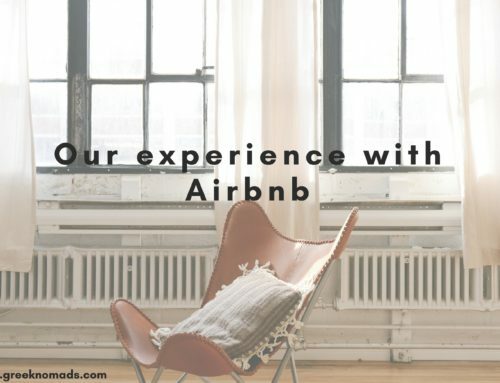 Our newest experience with Airbnb! it seems you enjoyed your tour a lot, even next week me too going there and want to enjoy like you. Thanks for sharing the post.